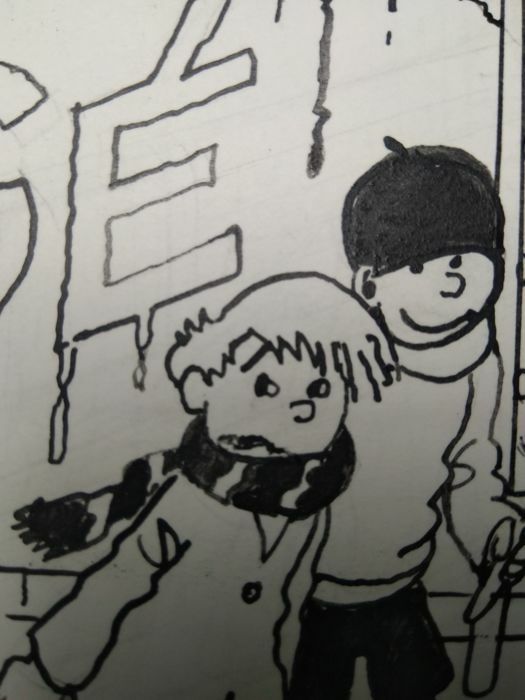 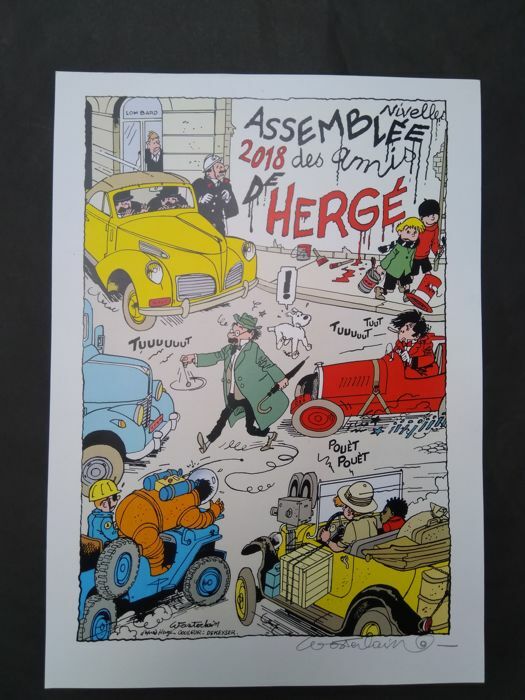 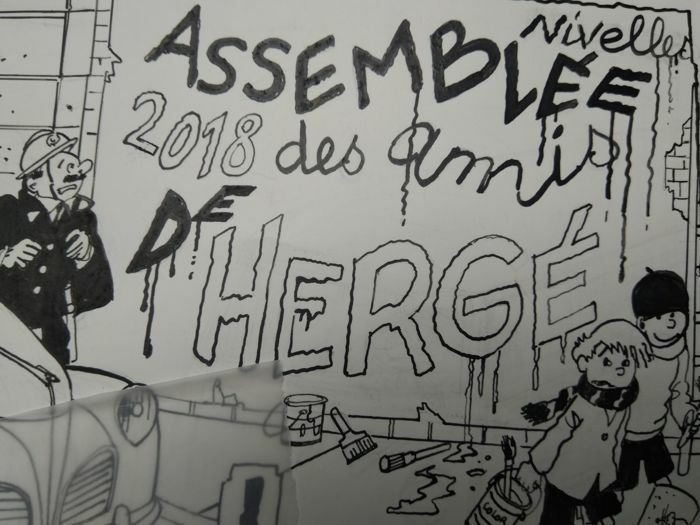 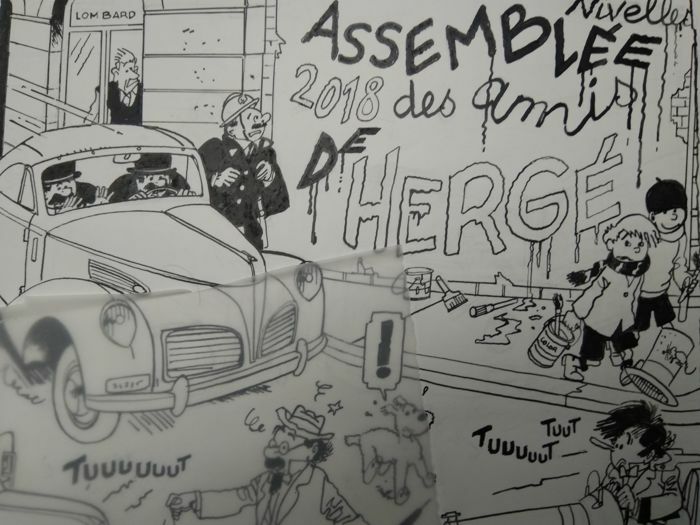 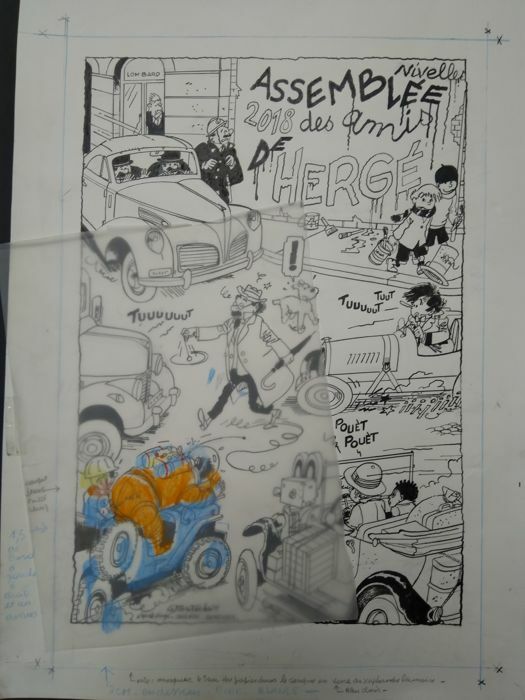 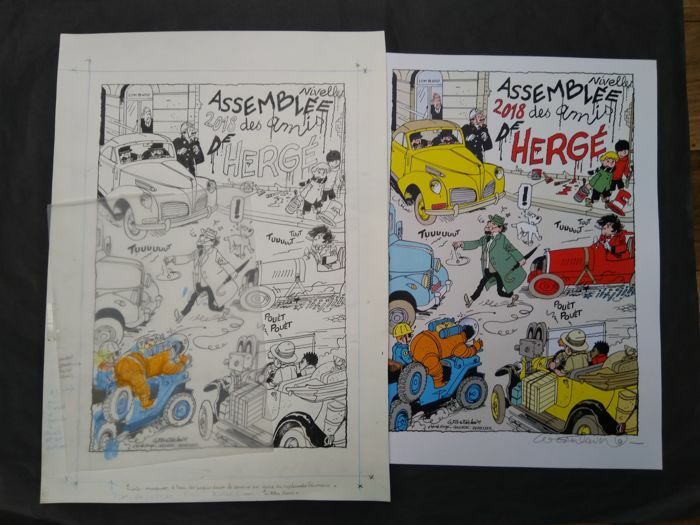 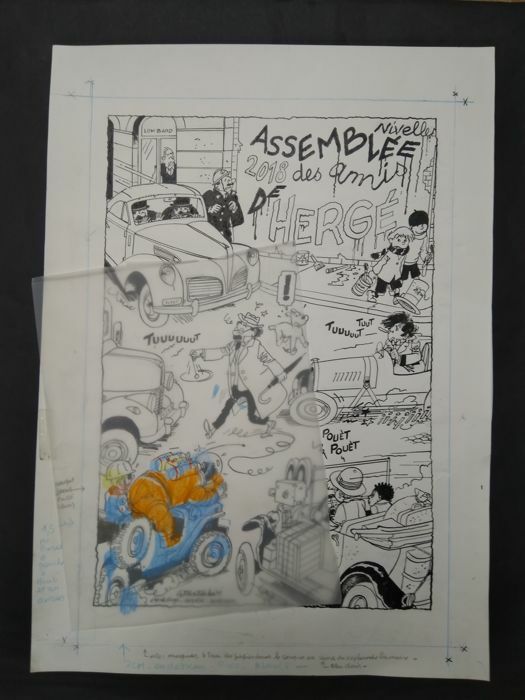 Dessin original "Assemblée des amis de Hergé 2018"
‘Assemblée des amis de Hergé 2018’. 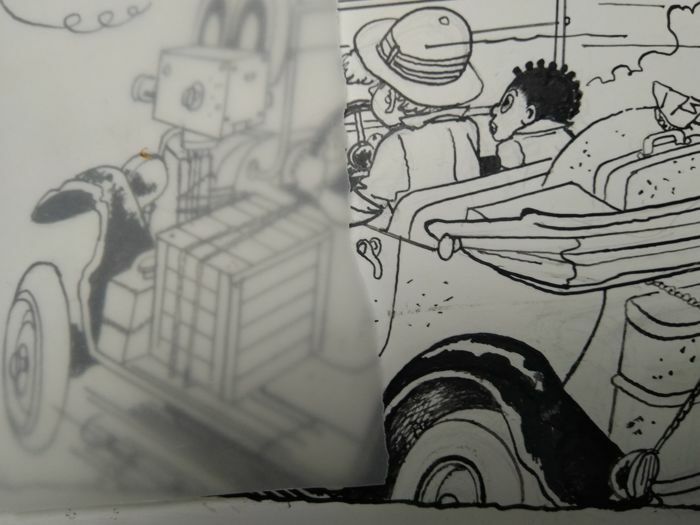 Original India ink drawing on drawing paper. 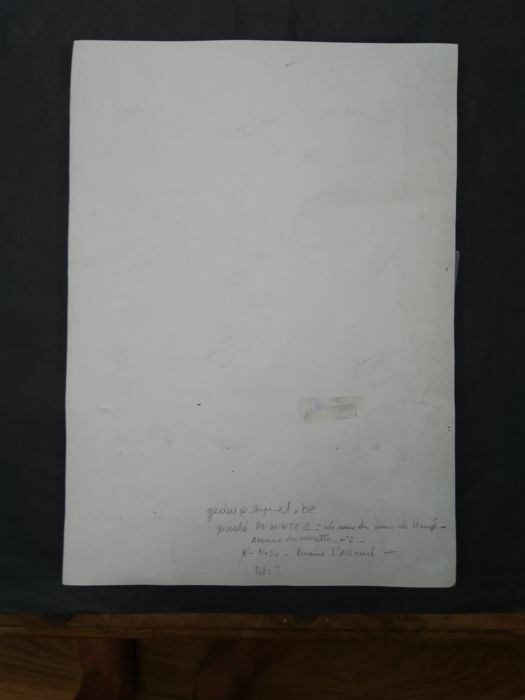 Plate size: 51 x 37 cm. 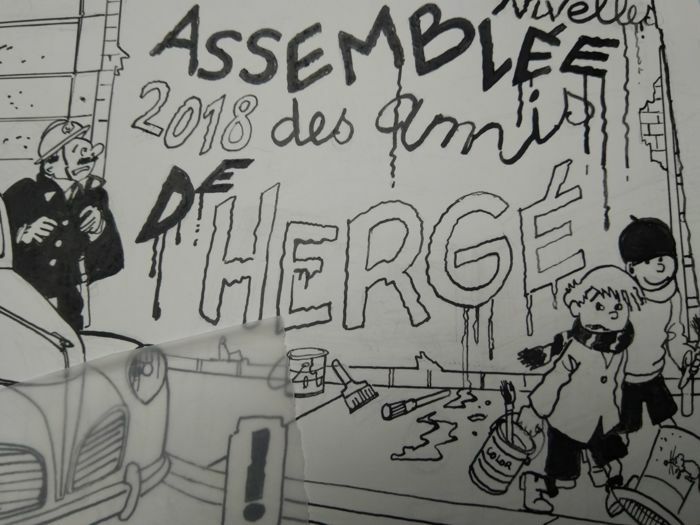 Created for the promotion of the ‘‘Assemblée des amis de Hergé’ for the current year. 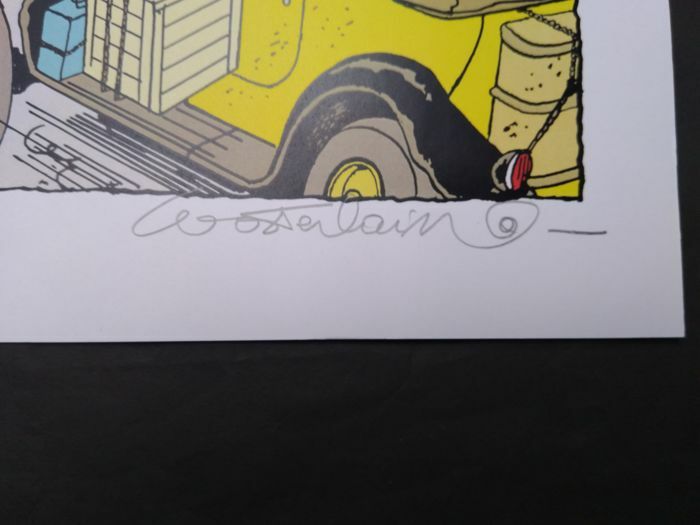 This original design was used as a model for the official poster printed in a smaller format and in colours. 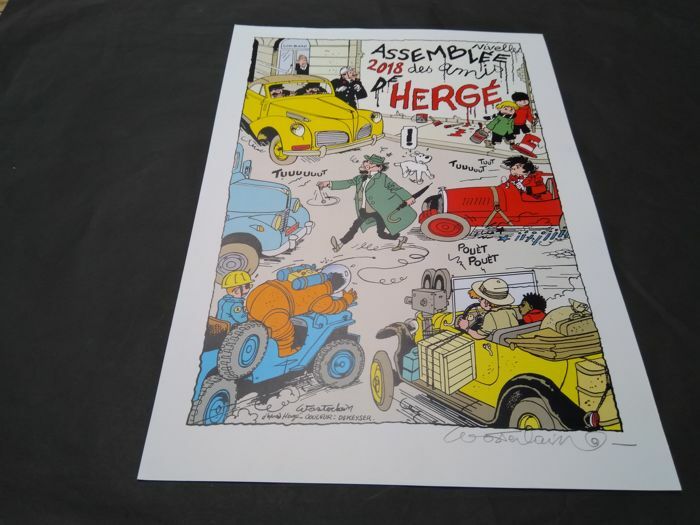 for fans inspired by the universe and the legacy of Hergé. 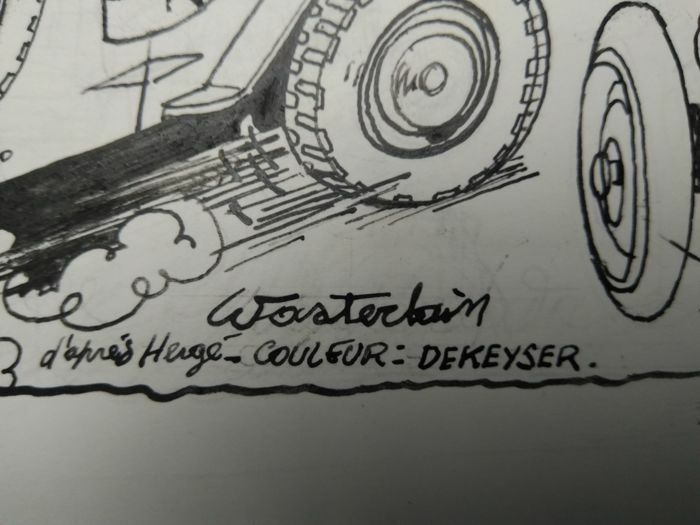 A truly fantastically designed collection object. 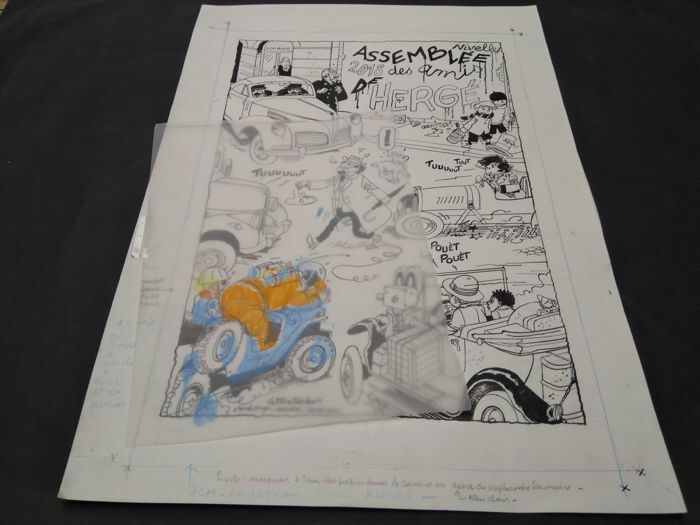 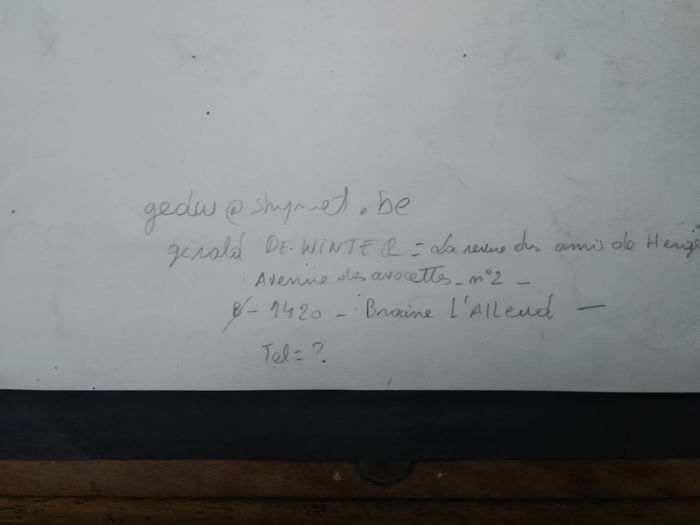 Unique piece designed by one of the greatest masters of Franco-Belgian comics. 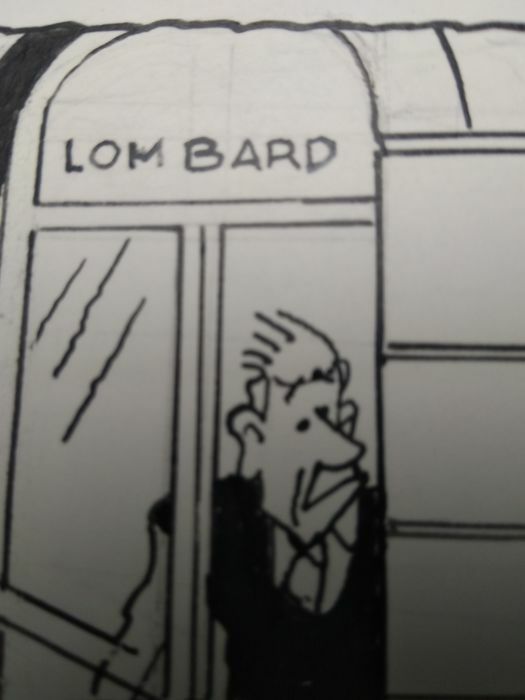 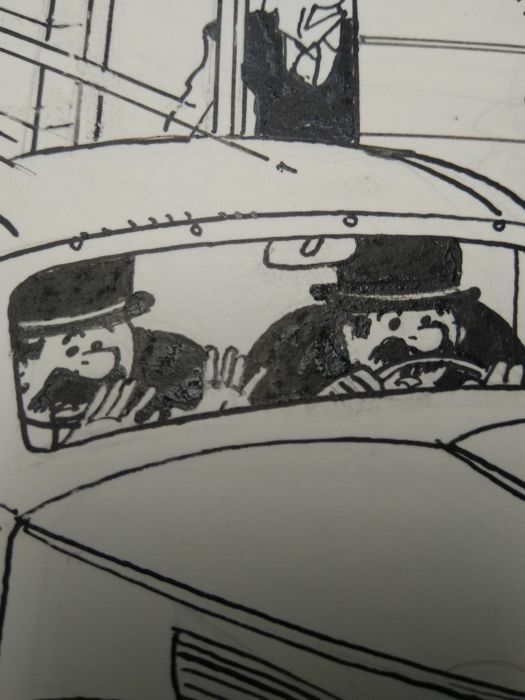 It is fun to look for the characters and the small details in the drawing. 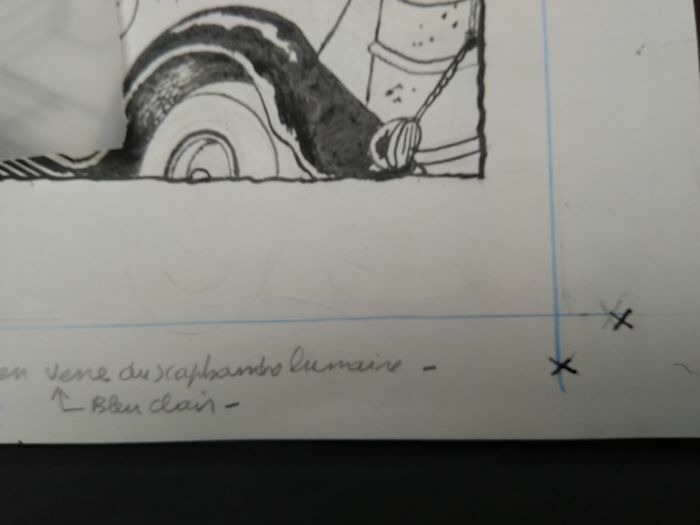 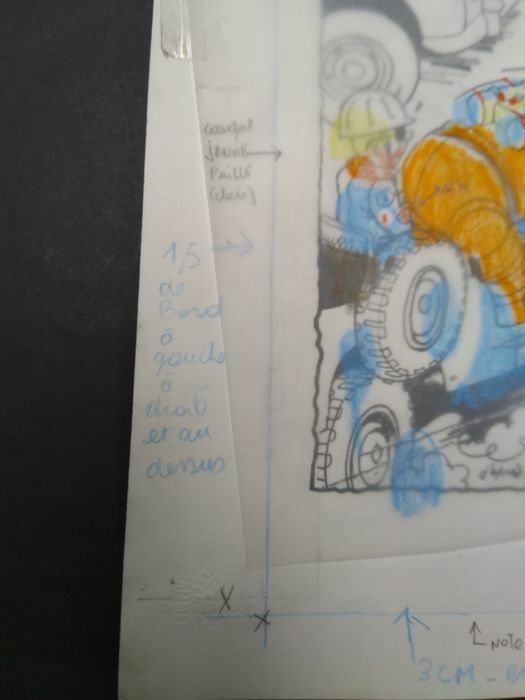 On the edges of the drawing, colouring annotations in pencil are visible. 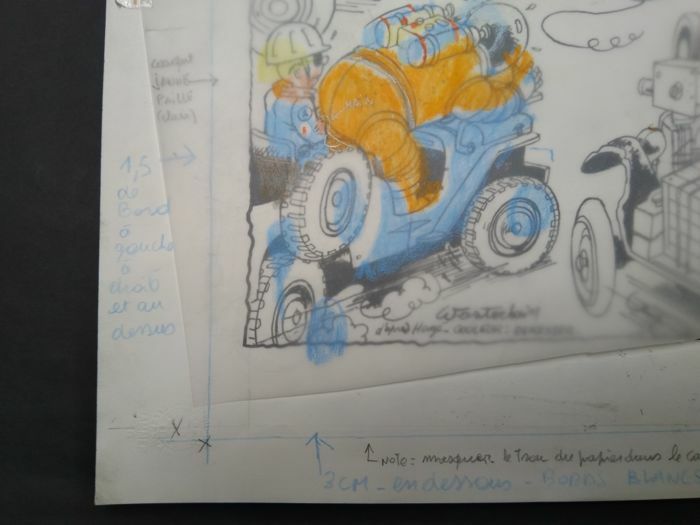 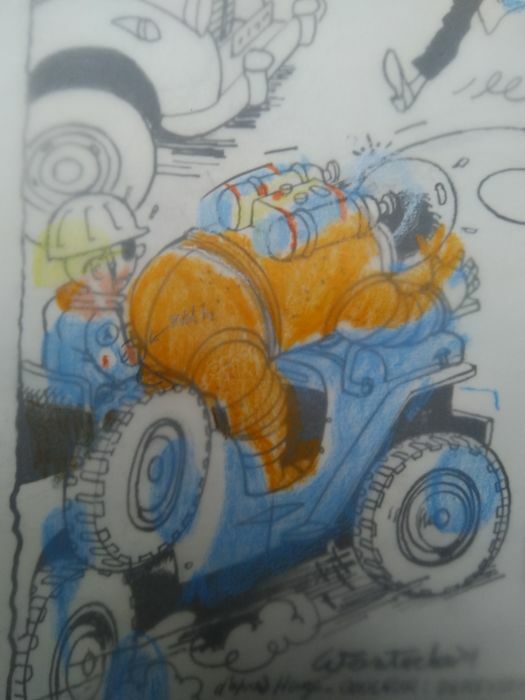 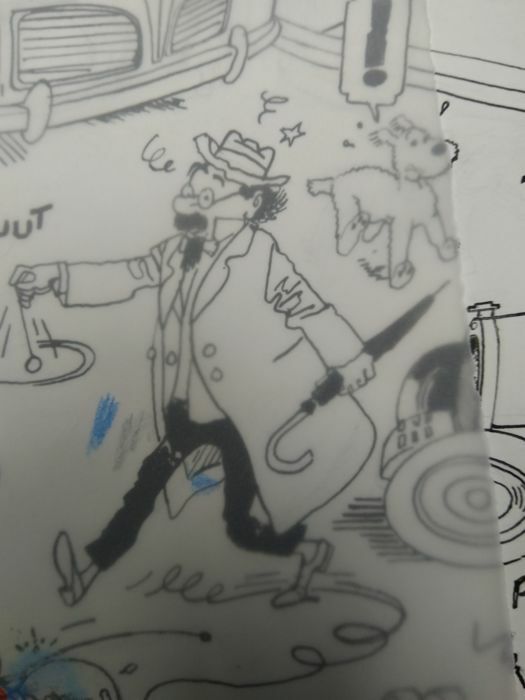 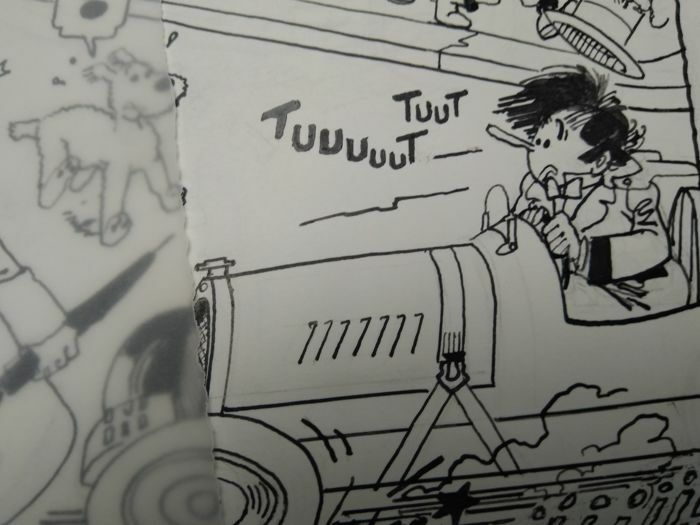 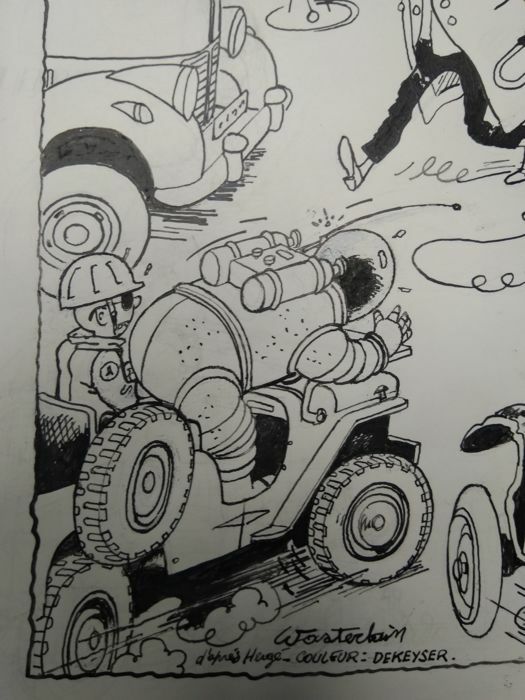 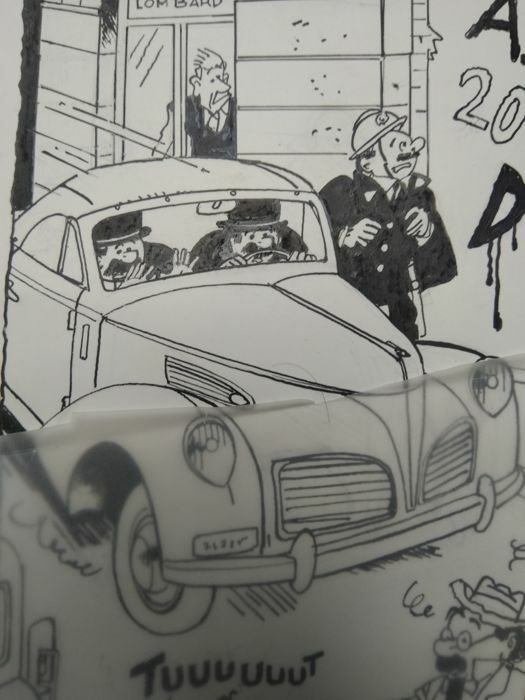 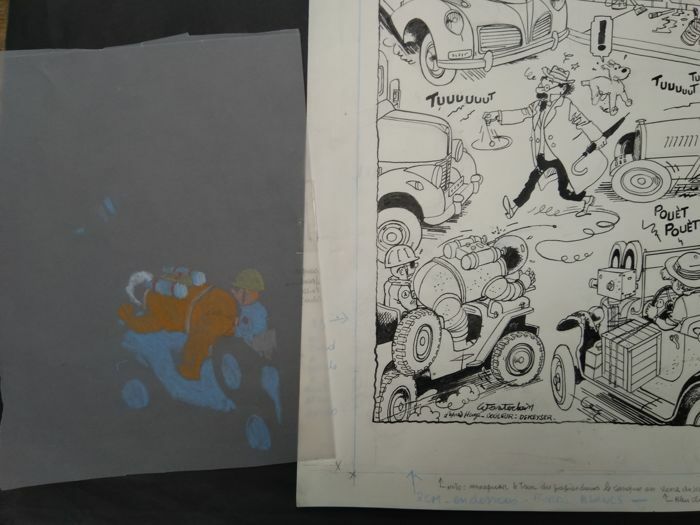 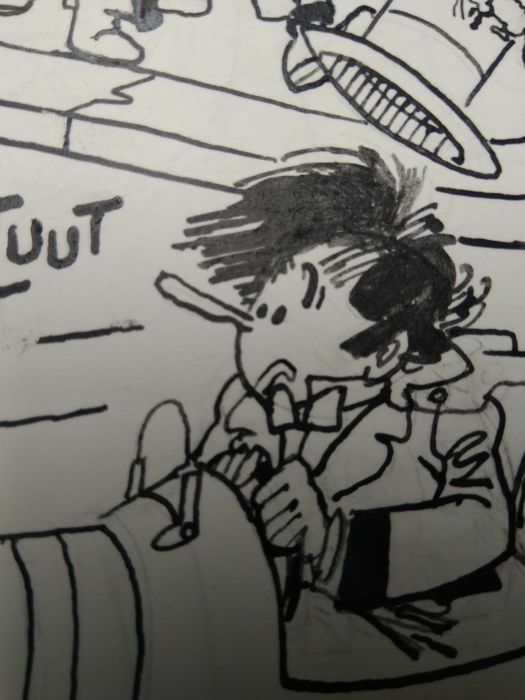 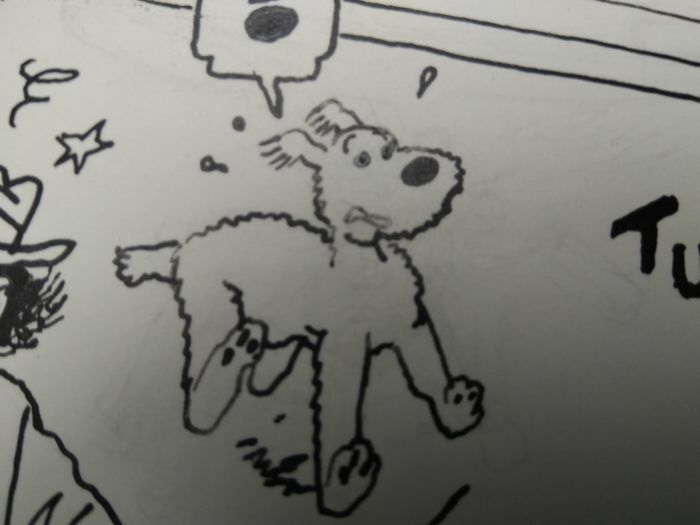 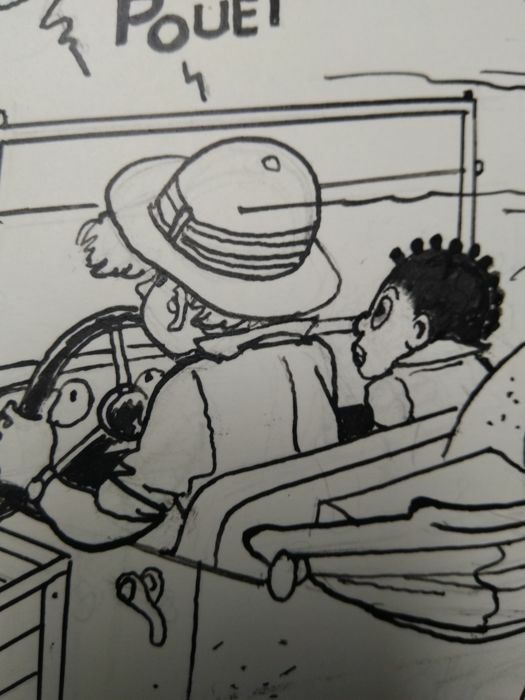 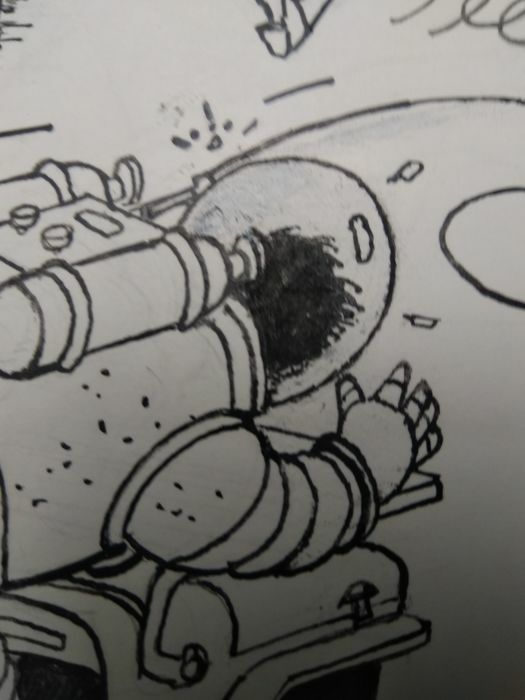 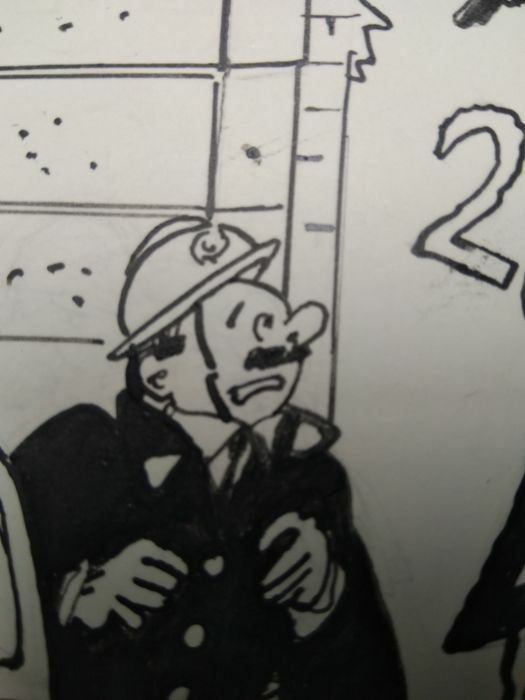 As a tracing paper for colouring the vehicle driven by Tintin with Captain Haddock in his Lunar suit next to him. 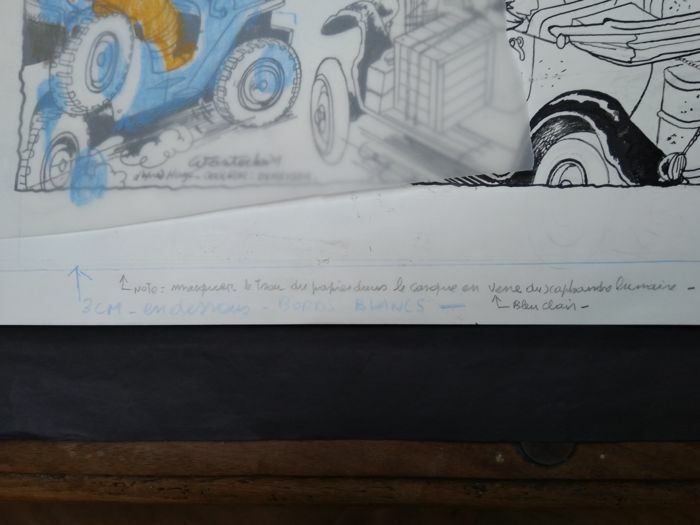 A copy of the promotional poster, signed in pencil by Wasterlain, is also included in the lot. 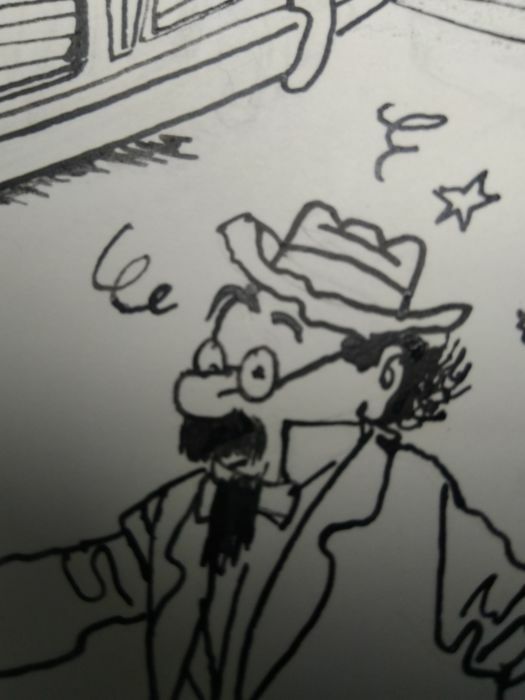 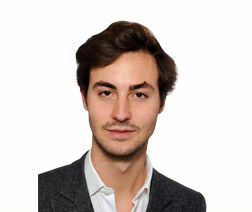 considering its quality, exclusivity and its artistic value. 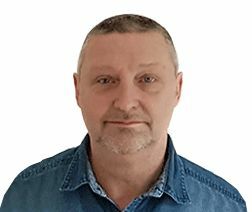 Fast and reinforced shipping at home with Bpost.